← Philippine Airlines reduces Mabuhay Miles earning rates! ANA Holdings plans to buy 10% of Philippine Airlines Holdings, the parent company of Philippine Airlines (PAL). The two airlines have had a partnership and code-share flights for years. This investment could give ANA increased access to the fast-growing market in South East Asia, help PAL’s growth. It could also assist PAL’s plans to become a 5-star airline and their desire to join a global alliance! 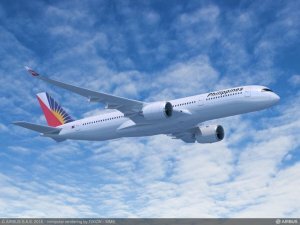 This is exciting new for travelers in the Philippines and fans of the national flag carrier: Philippine Airlines has been growing quickly and became a 4-star airline next year. While they had a partnership with ANA for a while, there hadn’t been much news. Now, ANA who also invested in Vietnam Airlines earlier, is investing approx. $90 Million to acquire a 10% stake in PAL holding. This allows ANA to participate in a fast-growing market – the Philippines has a population of over 100 million people and a growing middle class. For Philippine Airlines it means a closer partnership with ANA – themselves a 5-star airline. This could lead to closer alignment, more codes shares and more travel options for passengers of both airlines. Especially interesting for frequent travelers is that this might also give PAL the sponsor they need to join StarAlliance: Any candidate needs a sponsoring member for their application, before getting the approval of other members! The lack of an alliance membership has been a drag for Philippine Airlines as it limits their access in Europe and the US. StarAlliance membership would drastically improve PAL’s standing – they already fly to Toronto and Vancouver (with a strong presence of Air Canada) and Los Angeles and San Francisco (United), both are StarAlliance members! It’s probably too early to count your StarAlliance miles as these deals can take a long time, but I still consider it great news for travelers around the world. I’m keeping my fingers crossed that the deal proceeds, as well as a closer partnership with ANA and eventual StarAlliance membership! You can find more details at the Nikkei Asian Review.